Home AMERICAS Trump administration unveils plan for Space Force – What is it and is it legal? Trump administration unveils plan for Space Force – What is it and is it legal? The United States under the direction of Donald Trump has announced plans to establish a sixth branch of the military, the Space Force (USSF). “Just as in the past, when we created the Air Force, establishing the Space Force is an idea whose time has come,” Vice President Mike Pence stated in a speech at the Pentagon last Thursday. The objective of the proposal is to have a fully functional department by 2020, but is currently pending the approval of Congress, who chose not to fund the proposal in last years budget. Defense Secretary Jim Mattis also questioned the need for a space force last year, however, his delivering of the introduction to Pence’s speech signals he may now be in support. Both Mattis and the U.S. Congress had similar concerns about how a space force would be budgeted for, and how it would fit in the already existing space programs within the existing 5 branches of the military. It appears now that for at least Mattis, the importance of a military branch dedicated to space is too important to forgo any longer. In his speech, Pence highlighted the increasing military capacities of not only Russia and China, but also Iran and North Korea. “In 2007, China launched a missile that tracked and destroyed one of its own satellites—a highly provocative demonstration of China’s growing capability to militarize space,” Pence said. “Russia has been designing an airborne laser to disrupt our space-based system. And it claims to be developing missiles that can be launched from an aircraft mid-flight to destroy American satellites,” Pence also stated. Push back has come from multiple branches of the military that believe the creation of a space force in an unnecessary complication to a non-existent problem. One former Senior Air Force Official said that creating a Space Force is akin to rearranging deck chairs, and would only increase red tape. Questioning weather or not a space force is legal has not been given much attention by the Trump administration, and that is most likely because there is no strong definitive answer. 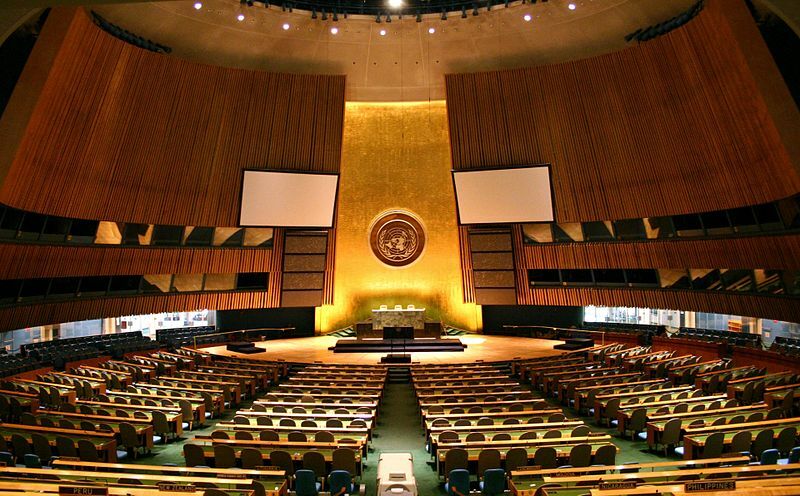 The U.S. and other major space powers have all signed The Outer Space Treaty of 1967, which states that no part of space can be claimed by a single country, and that no weapons of mass destruction can be placed anywhere in outer space. By that definition, a space force focused on self-defense strictly is legal so long as it does not claim territory or place nuclear weapons in space. However, the language of Donald Trump has made the goals of the U.S. space force questionable. Trump has called space “a war fighting domain, just like land, air, and sea.” He has also said that “It is not enough to merely have an American presence in space; we must have American dominance in space.” No matter what the Trump administration’s intentions are for creating a space force, they will first have to convince Congress it is necessary. 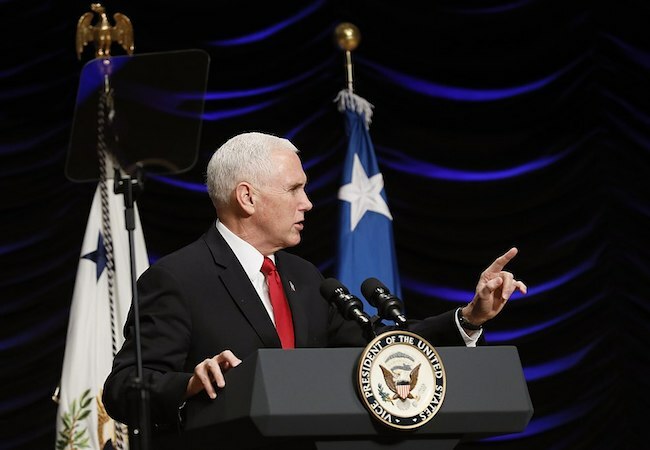 In his speech, Pence urged a crowd of U.S. troops in uniform to support the space force efforts. “The only thing we can’t afford is inaction,” he said. For now it will be up to Congress weather or not a sixth branch of the military is created, but after that it will be up to the world to decide how it goes forward in maintaining peace as nations turn their military powers to the sky. Conner Martinez is a freelance journalist and storyteller interested in politics, culture who has covered topics such as global conflict, social movements, economic injustice, and human rights violations. He has graduated from Pitzer College in Claremont, CA with Bachelor’s of Arts degree in International Political Economy. Currently he writes for both the Organization for World Peace (OWP) and C4SS.